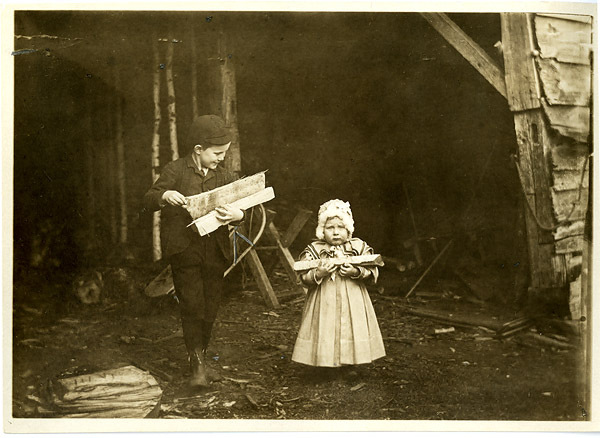 How well are people discovering and understanding the photographs in your digital collections? There are currently more than 100,000 photographs in Digital Commonwealth. How can you improve the chances of users finding the ones that are relevant to their research? Join the Digital Commonwealth at a special program called Enhancing Photograph Descriptions: Advice from the Photo Detective, which will be offered at three locations in different parts of the state. Join us at one of these events, where photograph expert Maureen Taylor will show us how to create the best metadata we can for the photographs in our digital collections. Maureen Taylor, known as the Photo Detective, is an internationally renowned expert in historic photo identification, preservation and genealogical research. 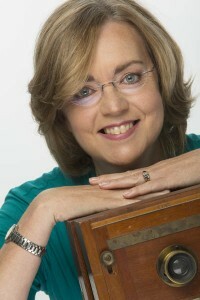 She is the author of several books on identifying, organizing and understanding photographs, and has been featured on television programs, newspapers and magazines. If you work at a public library, especially if you work at a small library where opportunities for collaboration are rare and money for new projects is even rarer, then you should read about this opportunity that is now available. Here’s the deal in a nutshell. If you have an unprocessed collection, even if you aren’t sure of their importance, you can arrange for someone to come to your library to assess the collection and to walk you through the entire process of project design, digitization, metadata creation, rights management, and putting the collection online. If you have never done anything like this before, they will help you learn. If you have done similar work but are simply strapped for time or money, they can take a lot of the work off your hands and they can do it with grant money instead of your money. All they ask in return is that you share what you digitize. That doesn’t mean you lose your collection or even that you lose the right to host the digital collection if you want, it just means that the metadata and a thumbnail image will be used to link your content with the content from other collections. This expands the reach of your collection and helps get your library more attention, but this aggregation of data also helps develop new opportunities for research. It’s a great opportunity to honor that donor who gave items not so that they could gather dust in your basement, but so that they could be used and shared in meaningful ways. It also is an opportunity to improve your digitization skills without taking on an entire project by yourself. I attended a workshop about this at the Jones Public Library in Amherst on June 18th, and I left feeling really excited about the whole idea. Like I said, it’s a sweet deal. 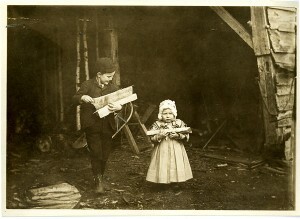 Bringing in wood, Chesterfield, Mass. One of the treasures from the Clifton Johnson Collection, 1880-1940 at the Jones Library Special Collections. How is this possible? The Public Library Partnership Project is funded through the Digital Public Library of America by the Gates Foundation. Four states are involved and in each state there is a digital library partner to provide training. In Massachusetts, this assistance is provided by the Digital Commonwealth and the Boston Public Library. If you decide to get involved these are the folks who will come and work with you. It’s not like working with a vendor who will come and scan your collection only to leave you with a bunch of questions and a confusing list of file names. The goal here is different. The goal is to make it as easy as possible for you, and to create a sense of perpetual engagement so that there is a process in place for continued sharing. One example of that ongoing relationship is the goal of working with public libraries to create exhibitions from the newly ingested content. The exhibitions would be built in part with your content, as well as with your knowledge of the community that is sharing the content, and they would be hosted by the Digital Public Library of America, whose site has had more than one million unique visitors. To make participation in these exhibitions easier, additional training will also be available about how to put a collection together, about writing for the web, and for learning to use Omeka when putting exhibitions together. The DPLA exhibits would share your content on equal footing with content from other, often larger organizations, and it would make it part of a national narrative. After participating in that process, you could then take those same skills to build a local exhibit designed specifically for your own community. It would be a great way to keep the new skills sharp and to give back to the local community that shared the content and has a deeper connection to it. To learn more about this opportunity, please consider filling out the very simple form that will get the ball rolling. You can find it on the Digital Commonwealth site. If your public library is not a member of the Digital Commonwealth, joining is a great option, but don’t abandon the idea of participating in the digitization project if you are not members. Like public radio, support is important and encouraged, but no one is turned away. To do so would undercut the whole idea behind such projects. Worst case scenario, you end up chatting with someone at the Boston Public Library about the interesting stuff at your library and the possibility of finally getting it processed and out where it can be accessed. And, if while filling out the form you realize you aren’t even sure how to answer the questions, remember that putting “I don’t know” is a perfectly fine and honest response. Someone will get back to you and will help you along; that’s what is so great about this project. If you’re interested in this opportunity, you should attend the next and final workshop in the series at SAILS Inc., Lakeville, MA on July 16 from 9:30 AM – 4:30 PM. Posted in DPLA, Events, Training, Uncategorized. On Monday, June 24, 2013, Digital Commonwealth of Massachusetts held a free half-day workshop focusing on developing lesson plans featuring digital content. The workshop was held at the Whittemore Library, Framingham State University, and was attended by school library media specialists, new teachers, and professionals from cultural organizations interested in making (and using) digital content for educational purposes. The workshop included an introduction to Digital Commonwealth the organization (a collaborative initiative promoting digital content of Massachusetts cultural institutions), the existing Digital Commonwealth portal and repository (an online discovery and storage platform), screenshots of the upcoming new system (currently in development by the Boston Public Library, a partner organization to Digital Commonwealth), and examples of existing lesson plans using digital content. Kim Cochrane, Curriculum Librarian, Framingham State University, and Nancy Heywood, Digital Projects Coordinator, Massachusetts Historical Society, led the workshop. Both Kim and Nancy serve on Digital Commonwealth’s Outreach Committee and will review and revise the program. They hope to schedule two more workshops later this year. For information and notification about future workshops, email Nancy Heywood: nheywood@masshist.org. Over the next several months, until the end of the calendar year, Digital Commonwealth will be providing metadata production and quality control assistance for collections digitized under the BPL’s LSTA-funded statewide digitization program. The goal is to assure that at least 40,000 records are prepared for ingest into the new repository system from at least 40 different organizations. A team of metadata workers, led by Amy Benson and the BPL Digital Services Department, has already begun to evaluate the current states and various forms of descriptive records and how to best transform and optimize them into standards and systems compliant metadata. This work is being supported with grant funds associated with the Digital Hubs Pilot Project of the Digital Public Library of America (http://blogs.law.harvard.edu/dplaalpha/about/digital-hubs-pilot-project/). Amy Benson is currently the Librarian/Archivist for Digital Projects at Radcliffe’s Schlesinger Library. She is familiar to many due to the multiple workshops and presentations she has delivered, often in association with the NEDCC. Amy also served on the original Digital Commonwealth Executive Committee when the organization was first established. If your organization has had anything digitized by the BPL for Digital Commonwealth and your descriptive records need to be created, transformed, or enhanced for ingest, then you will be contacted by Amy and/or the BPL team between now and December 2013. Please direct any questions about this initiative to Tom Blake (tblake@bpl.org; 617 859-2039). Posted in Announcements, BPL partnership, Training. Are you a teacher (4th grade to 12th grade) who is interested in developing lesson plans featuring digital content? Could you benefit from a half-day workshop focused on learning about digital collections and ideas about how to use digitized primary source materials within the classroom? Please consider attending a free workshop on June 24th! The workshop will be held in the Room UM (Upper Mezzanine) 16, Whittemore Library, Framingham State University, State Street, Framingham, from 9:00 AM until 1:30 PM on Monday, June 24, 2013. Although individual teachers are certainly welcome, this workshop is an excellent place for team teachers or grade-level teams to hear about a statewide initiative presenting digital content from cultural institutions in Massachusetts, learn about some existing lesson plans, and get some advice about how to prepare new plans featuring digital content. The workshop will also include some hands-on time when attendees will start developing something to use in their classrooms! For information and notification about future workshops, email Nancy Heywood: nheywood@masshist.org. During 2012, Digital Commonwealth of Massachusetts offered 8 digitization training sessions for staff from libraries, archives, and cultural institutions who were interested in issues relating to the creation and enhancement of digital collections. Thanks to grant funding, no registration fees were charged to attendees! A recent LSTA grant awarded to the Boston Public Library (BPL) by the Massachusetts Board of Library Commissioners (MBLC) allowed the Digital Commonwealth to work with staff of the Northeast Document Conservation Center (NEDCC) on the training sessions. The topics covered in the sessions included digital project planning, selecting and preparing materials for digitization, and file format and metadata issues. The same basic program was given 8 different times, at 7 locations all over the state as well as one online webinar. Donia Conn, Education and Outreach Coordinator, NEDCC, led the training sessions. Although a large number of attendees were from public libraries in Massachusetts, staff from special libraries, historical organizations, museums, academic libraries, local municipalities, state or federal agencies, and various archives were also in attendance at the training sessions. The main goal of 2012 training sessions was to provide an overview to digitization issues. Responses from participants indicate there is interest in additional trainings sessions, especially future training or work parties focused on metadata. Participants also suggested some other possible topics for future training sessions: digitization best practices; funding models for digitization; or nuts and bolts of imaging and image processing. What topics would you like to see covered by future training sessions? Please leave comments below.